You’re planning to buy Hookah but you’re confused about, what to look for in a good hookah? Well! Don’t worry because today we’re here to help. This brief will answer all your questions and tell you all you have to take into consideration when buying hookah. To be precise there are several factors but am going to share some of the main things that you should take into consideration. There are several things that you should put into consideration before you buy a hookah. Origin, Material, Type, Height, Multiple Hose Option, and Price. Traditional hookahs originated in Egypt, Syria, Sierra Leone, Turkey and several other countries of the Middle East. Modern Hookahs are specially manufactured by Chinese Companies based in the USA. What’s the Difference Between Traditional and Modern Hookah? There are several things that cut the line between Traditional and Modern hookahs and performance is one of them. Traditional Hookahs are durable and highly functional. The other thing is that they are made from brass and a combination of steel. Most people also like traditional hookahs because they feel like they own a unique hand-made antique. Some of the traditional hookahs include; Shika Hookah and Khalil Mamoon. Modern hookahs are made using different designs to make them look beautiful and attractive. They also have a check release valve designed with ball bearings inside them. 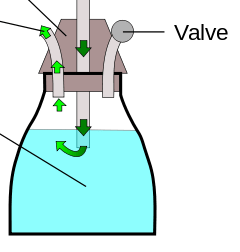 The purpose of this valve is to make it easy to smoke without the need to plug in every hose that is not in use. Why is the origin important? The reason why Origin is important to some people is that traditional hookahs give a taste of the original and unique equipment. Modern hookahs are made of different materials to make them look good, beautiful and attractive. The other thing to consider is the height of the hookah. Height can in one way or the other affect performance of the hookah. People believe that higher hookahs produce more smoke upon inhaling. However, most people prefer hookahs of between 28 and 32 inches. The material used to make this equipment really matters. Most hookah users claim that the ones made of solid brass are the best. They love this material because it lasts for a long time, it’s heavy and thus stable and also has the most solid pipes. The only thing about this material is that they require regular polishing to maintain their shine and luster. Why is material so important? The reason why I said the material is important is that the material used to make the hookah affects directly the durability of the hookah and also the performance. The material can as well affect the price of the hookah and how satisfied you likely are to be after using it. There are those people who prefer a combination of brass and stainless steel. However, our opinion is also that this combination is win-win. If you are the kind of a person that likes traveling or out-doors smoking, then you can go for a smaller brand. On the other side, if you’re one of those guys who prefer smoke in-doors, then you can go for a medium or high sized hookah. Does Height Affect on Smoke Quality? Although the height of a hookah doesn’t affect the quality of smoke, it can affect the performance. However, choosing the right height for your hookah is a matter of preference. I personally prefer hookahs of height between 28-32 inches. The size is the best fit for carrying and ease of handling. As I had already indicated, the size of a hookah can affect its performance. The higher the hookah the more smoke the vase and term play. Don’t mistake this, don’t think that smaller hookahs don’t work well. Don’t you think smoking shisha with your friends matter? If you want more social smoking, then going for a four-hose hookah is a good option. On the other hand, if you are looking for a shisha to enjoy most of your time alone, go for a single hose hookah. What many people don’t know is that the number of hoses in your hookah can affect performance. They can really drag your hookah down if not used properly. Four-hosed hookahs are preferable if you are thinking of using your hookah with friends or if you are buying your hookah for commercial uses. If it is especially for parties, then consider four-hosed hookah. I like four-hosed hookah because I have the option of using it with my mates. The good thing is that each hose can be stopped if not in use. If not blocked, it can lead to a loss of suction power. However, if you are a beginner, don’t look for a complicated piece; just go for a single hose hookah. This is the best way to first of all maneuver your shisha world before you start toiling it. You don’t have to face the battle of handling several hoses and also assembling other parts of your equipment. If you are looking for a cheap hookah, then you must be ready to take home a hookah for a short period of time. This is not a bad thing especially if you are a beginner. You don’t have to buy an expensive hookah and end up looking for better alternatives later. We all know why quality matters. Quality comes with a price and hence if you need a high-quality hookah, you must be prepared to dig deeper into your pockets. It doesn’t matter the amount of money you have in your pocket though. You can always have a hookah for the purpose. If you need a low-cost hookah that comes with quality and performance, then look for something between $50-$70 in cost. Many people don’t think that weld seams are very important. However, you have to seal any air leaks when using your hookah. You need to take due care to ensure that either welding seams are available or if the parts are made professionally out of one piece to prevent leakages. Check whether the welding seams have cracks or if they aren’t properly done. If they are not done the right way, again you will get air leaks. There is that pleasure that comes with hookah smoking and most of it can be ruined by harsh hookah smoke that results from thin hookah glasses. Glass hookahs are becoming popular day by day among hookah smokers. I believe that thick glass is better than thin glass. For storage and handling, thick glass is less likely to be damaged. The other thing is that thick glass is better on heating that thin glass. This is another hookah secret that most people don’t know. If you’re a beginner, you may never know this until you become an expert. The reality is that a hookah is only as good as its smallest choke pot. The support for this is simple physics. The smoke of the hookah passes through several gateways of different size. If you are thinking the way I am thinking, then you must concur with me that the larger the passways, the larger the amount of the smoke that comes out at each point in time. In order to ensure that you have a high performing hookah, pay attention to the downstream, the hose and the heart chamber. If the gateways are small, then they are likely to regulate the amount of smoke coming out. When buying your hookah, pay attention in those passer ways to master the size of the smallest opening. Where to buy the hookah? Where to buy the hookah can also be a concern. If you want a simpler option, then make your purchases online. There are plenty of online retailers where you can purchase your hookah. Although there is no one place better than the other, you should buy somewhere you know you can be able to get in contact in case of a problem. Check for a retailer giving you a longer warranty so that you are able to return it in case of any problem. If you go with a more modern-day hookah, you should expect it to be made mainly with stainless steel, and a mix of different components, such as screws so you can take it apart. This makes it easier to travel with. Modern hookahs are made on assembly lines using the more modern technology approach. That also tends to be mighter and smaller in size. With modern day hookahs, you will have the advanced technology of different unique designs, and the hooking up of one hose to smoke instead of having to hook multiple hoses up in order to smoke just one hose. On the other hand, buying a modern day hookah means you will most likely have a ceramic head versus a clay head of the bowls. Ceramic does not transmit as much heat as clay does. This can lead to a lower quality of hookah smoking experience, versus smoking thru traditional hookah. Overall you should do your research before buying. Here is a wite determination of top-notch hookahs accessible instant, be that as it may. Egyptian hookahs, for the most part, have hand-blown glass bases in gem and opal-conditioned hues, while Syrian have perfectly ornamented fired or glass bases. Past these conventional syles, there are plenty of present-day elucidations, creature molded hookahs, mod hookahs, smaller than normal hookahs, voyaging hookahs finish with a mid-extend for medium hookahs at $60 to $100, and from about $115 to $135 or more for a vast hookah. For a custom hookah, you can spend around $225 for a precious stone to as much as $1000 for a hookah made of silver. Most hookah buys will accompany singular bowl, stem, plate base, and a hose or hoses, in detectable parts for simplicity of cleaning and will incorporate tongs for colas, screens, brushes for cleaning, and directions some will likewise accompany a conveying case and additional elastic stoppers free articles some hookah tobacco and charcoal. There are various destinations where you can manufacture your own hookah from determination parts and others where you can arrange custom hookahs. For this is the best Egyptian Syria or India. These countries manufacture the best Hookah at Sandown. Many experienced Hookah collectors prefer the body tube especially to be made of brass. The vase is preferred to be made of glass over any metal. One thing that your best friend smoker didn’t tell you is that Plastic washable hoses are awesome. They are cheaper but what people don’t know is that they are better than all the other materials used to make the hose. They are easy to handle, they smoke good and they are also very easy to wash. Hoses serve a very simple purpose of passing smoke up and hence you shouldn’t ever hate those simple and cheap hoses. Shop for the best hookah hoses online and ensure that the material used to make the hose is of high quality. Plastic hoses are better because you can smoke strong flavors with them. The secret here is that they are washable and hence the flavors you use today can be washed away. The hookah bowls ought to be artistic, clay, metal, ceramic bowls are the best that you can choose. Also, silicone bowls are some of the best modern bowls ever made. Some of the con’s of silicone bowls are warming is a little bit weaker than the above-mentioned bowls. It may happen that your tobacco does not burn evenly, and this problem could be solved by properly arranging tobacco in the bowl. It’s great that it never gets too hot to grab it. We make a list of some of the best bowls witch you can find online. How to make your own hookah bowl you can see in this video. The best choice is natural coals made from coconut shells. We should mention coals of natural wood and instant light coals which is worth mentioning. Quality of coconut coals has been shown as the best variant. They do not dissolve, they are quite hard and produce very few ashes as a sign of quality. Always choose coconut coals because they are very sturdy and will last for longer while smoking. Avoid other types of charcoals because it can be harmful. Coconut coals have been shown as the best variant. Choosing the best tobacco brands is always a good option. It’s best if tobacco is wet then it will take longer. 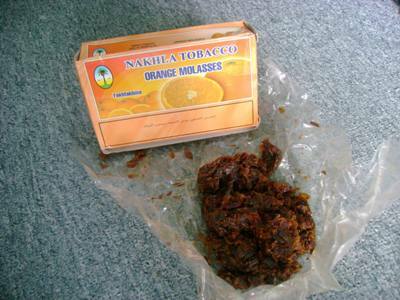 Choose tobacco soaked with molasses or honey. Dry tobacco will burn very quickly. It should smell sweet and be dark in color. If it is too light or not wet enough choose something else. In the option, you also have ice drops that are very good taste and longer lasting but maybe not the healthiest variant. It must be well packed so as not to lose taste. Your hookah tobacco should be kept in a dark and cold place, perhaps best in the fridge. Such storage will always provide fresh taste and will not lose its properties. There are many different companies that make tobacco, but not all that good. Choose only the best to get the best of the smoking. Which size of the hookah is the best choice? In regard to the above question, there is no answer that is better than the other one. Hookah size is a matter of preference. Most people prefer hookahs of size between 28 and 32 inches. They work perfectly and are easier to move from one place to the other. However, there are some people who believe that larger hookahs smoke better than small ones. The theory behind this is pure physics. Larger hookahs have a longer shaft which is known to allow more time for the smoke to cool when it travels through the cold water. Although there is no reliable theory on this, several people have done research and the results were in support. When it comes to the size of the hookah, there are several things that can determine your choice. If you are those of us who like spending most of their time outdoors and likes hookah companionship, then going for a smaller hookah is not a bad idea. They are easier to carry around and to store. However, if you are in the other category of people who like spending a significant amount of their fun time indoors, getting a larger hookah is the best choice. While the size of the hookah can affect the quality of smoke one will get, there are those people who seem to sacrifice hookah quality with portability and convenience and am one of them. As I earlier said, the choice on the size of the hookah is up to you. All said and done, you cannot be able to get convenience and portability and at the same time get high-quality smoke. The answer to the above question is yes! The size of the shaft has a direct impact on the quality of smoke that you are going to get. Although there are several arguments for this, one thing that I know is that the longer the shift, the cooler the smoke becomes and the higher the quality of smoke. The size and the thickness of the shaft you use is a determinant factor in the quality of hookah to smoke. One theory is in support of this saying that the thicker the tube, the easier it is to pull through and the thicker the smoke. As I have already stated, you can choose to sacrifice the quality of your hookah with convenience and compatibility. Hookah smoking is usually a group activity and if one part is impaired, then the whole process will be slowed and affected. This is one thing that you have to consider when buying your hookah. If you want a hookah to produce quality smoke then there is no doubt that you should go for larger ones. While there is an argument that tall hookahs cool smoke better than shorter hookahs, there are some smokers who are in disagreement. They believe that small and larger hookahs have the same impact when it comes to cooling the smoke. However, in my opinion, I think it significantly affects the cooling process. It is water that is responsible for the cooling process and there is no doubt that the larger the hookah the larger the amount of water it holds. The other thing that I think is of concern is the hookah base size. Here, the size is directly impacting on your smoking experience. The larger the base, the more smoke will be produced. This translates to a bigger, thicker and richer inhales and puffs especially if you are having fun with friends. Hoses also matter. Most people think that hoses are just tubes to deliver nothing but the smoke. However, the size and the quality of the hose matters when it comes to smoking your hookah. This means that you should look for thick and high-quality hoses to make your time enjoyable. Which is the best height for a hookah? The best height for the hookah depends directly on several factors. As I stated earlier, most people like hookahs of between 28 and 32 inches. One factor that will affect your hookah size choices is your lifestyle, if you are an outgoing person who likes camping and traveling with his hookah, then you can go for a medium-sized or a small hookah for convenience and portability. The main difference between the glass and acrylic hookah bases is that acrylic base is made from tough plastics and it’s just as durable as the glass base. If you are one of those careless people and if you think that you may break a glass hookah base, then this is the right one for you. Glass hookah base on the other side is made from tough glass that cannot easily break unless mishandled. Regardless of the hookah base you choose, there is no difference between smoking or the taste of the smoke. However, if you go for the acrylic hookah base, ensure that you empty out your hookah water after smoking. What I mean is that an acrylic hookah base shouldn’t hold the water for an extended period of time. Which is a better choice of glass or heavy hookah? To answer this question, we have to look at several advantages of glass and those of heavy traditional hookahs to come up with a clear line between the two. There is no doubt that glass hookahs are easier to clean and maintain. They have unique designs, are tighter and will never rust. You can as well add color to the base using beads ad fruits. On the other side, they are expensive and more fragile. Traditional hookahs are unique and original. They have a colorful base and can be repaired easily. On the other hand, they are heavy, harder to clean and stem can rust. With this in mind, making a clear cut between the two is a matter of taste and preference. There are those people who think possessing a traditional hookah feels like you own original equipment. So the decision here is all yours. The reason why you get those big clouds when you smoke hookahs is all because of Glycerin. This is one of the biggest ingredients that is added to your hookah. Apart from this, there are several shisha brands that will get you Big clouds. If you are looking for that smoky cloud here’s a few good brands. This is one of the strongest tobacco shishas. It is also a very popular brand that many people like spending their fun time with. This is another tobacco brand that has taken the shisha community by storm. It has a great collection of flavors manufactured in Texas. if you are looking for classic flavors then this is for you. There are some of the best classic flavors here. It has a low heat tolerance and hence will never disappoint you. There are several other brands on the market such as Fumari Shisha, Starbuzz Shisha and many more. Witch style of hookah I can choose? When we talk about style it’s really individual, someone likes something that is bad for the other one. You can figure out which style would suit you best. If you like traditional hookah with Khalil Mamoon surely you will not make a mistake. If you prefer a modern style you may like Mya Saray hookahs. Even no branded hookah can be good, but you need to know what to look for. 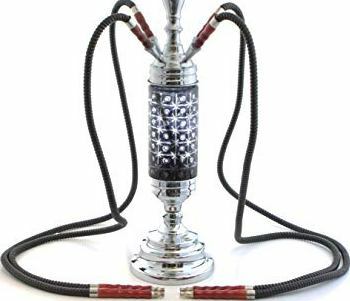 Many people love to smoke hookah and enjoy it, but when we talk about smoking hookah you may want to know how to buy a good hookah for the best smoking experience. In this article, we tried to covered everything that you need to know how to choose the best hookah to feel maximum pleasure and enjoyment. If this article was helpful to you please share it to help others with the choice. If you need any help in choosing hookah please let us know and we do everything to help you if you’re stuck on how to buy a hookah.